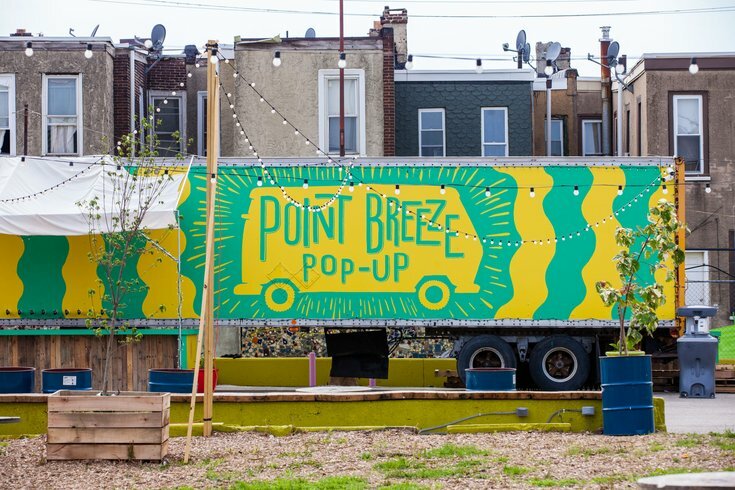 The Point Breeze Pop-Up Garden at 1622 Point Breeze Ave. opened in May 2015 with an 18-wheeler-turned-bar, lunch trucks and an array of plants. Last week was a roller coaster for the Point Breeze pop up garden. After Philadelphia's Licenses and Inspections Department shut the beer garden down last Wednesday due to zoning issues, a Philadelphia Municipal Court judge ruled that owner John Longacre was denied due process and should be free to operate while obtaining a zoning change. Could a Point Breeze pop up garden bring commerce back to 'The Breeze'? The pop-up garden reopened on Saturday and now has plans to host an Art Market next Saturday, July 18, according to the Passyunk Post. The event will host more than 15 local artists and boutiques selling ceramics, photography, jewelry, paintings, and other crafts. Those who attend can also partake of the special draught beer and wine that will be for sale that day. A percentage of the proceeds from drink sales will go toward the dance company NiaNext, a repertory ensemble of young adults pursuing a career in concert dance. Funds will support their mission trip to New Orleans.